Zyxel, a global leader in next generation networking solutions, unveils the easy-to-use Zyxel Personal Cloud, a new cloud storage solution capable of up to 32TB of data storage accessible from anywhere with mobile gadgets. Zyxel’s solution is also the industry first to allow personal cloud space powered by one device to be shared with multiple users. Mobile gadget users today are no stranger to low-storage alerts. They often pop up at inopportune times, right in the middle of snapping a photo or recording a video. 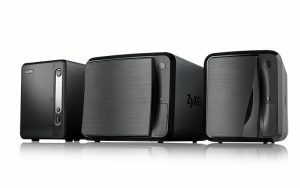 Zyxel Personal Cloud is a new storage solution integrated with the myZyxelcloud platform and the Zyxel Drive mobile App. It is designed to succeed physical hard drives and further equip users with the mobility and convenience to access and utilize data. Zyxel has a comprehensive, award-winning portfolio of Personal Cloud Storage devices to power the solution. The 2-bay model NAS326, is an entry level product capable of up to 16TB of storage with 105/105 MBps read/write speed, 17% better performance than competitor models. The 2-bay NAS520 and the 4-bay NAS540 and NAS542 models are designed for more advanced, professional applications for professional users or SOHO offices.